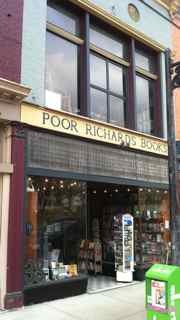 Welcome to Poor Richard's Books, home of thousands of books across from the state's beautiful Old Capitol building. Independent bookseller, Lizz, mans the fort, as well as serves with Downtown Frankfort, the local Main Street Program. "Poor Richard" is a former Poet Laureate of Kentucky and retired professor of English & Humanities at Kentucky State University, but now teaches at Transylvania University. 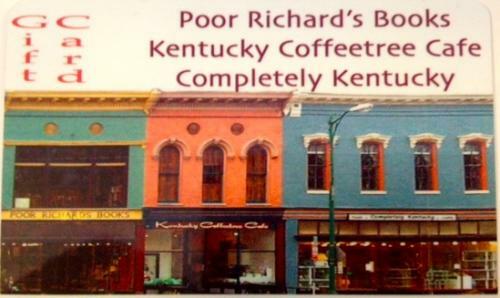 Poor Richard's specializes in Kentucky titles, and also has an attic full of bibliophilic treasures awaiting their rightful home. You can listen to music, and ease into your reprieve from the hectic world with a delicious, iced latte. We have been supporting reading and community in Frankfort for over 30 years. You are sure to find what you need to complete your Kentucky collection. 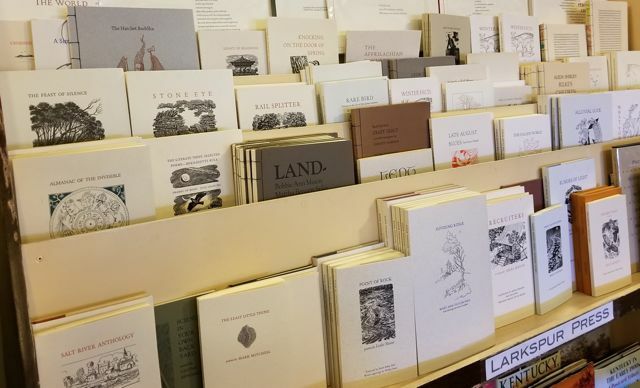 Poor Richard's proudly carries the finely crafted letterpress books from Larkspur Press. Each book is a work of art. The type is hand-set; the pages hand-sewn. Call us at (502) 223-8018 for titles available or to order a book. Back in April, the National Retail Federation stopped by downtown Frankfort to talk to some of your favorite shops (including Poor Richard's!) about retailing in our great capital city. Check out this great clip the NRF created from their stop in Frankfort! Check out this video featuring our store!